2019 3rd International Conference on Computational Chemistry and Biology (ICCCB 2019) will be held in Seoul National University, Seoul, South Korea during June 19-21, 2019. The conference group sincerely invite any potential experts in Bioinformtics and related fields to deliever a speech in ICCCB 2019. If you are interested, please send your brief resume to icccb-info@cbees.net for application. Prof. Taesung Park received his B.S. and M.S. degrees in Statistics from Seoul National University (SNU), Korea in 1984 and 1986, respectively and received his Ph.D. degree in Biostatistics from the University of Michigan in 1990. From Aug. 1991 to Aug. 1992, he worked as a visiting scientist at the NIH, USA. From Sep. 2002 to Aug. 2003, he was a visiting professor at the University of Pittsburgh. From Sep. 2009 to Aug. 2010, he was a visiting professor in Department of Biostatistics at the University of Washington. 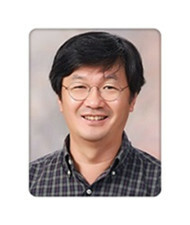 From Sep. 1999 to Sep. 2001, he worked as an associate professor in Department of Statistics at SNU. Since Oct. 2001 he worked as a professor and currently the Director of the Bioinformatics and Biostatistics Lab. at SNU. He served as the chair of the bioinformatics Program from Apr. 2005 to Mar. 2008, and the chair of Department of Statistics of SNU from Sep. 2007 and Aug. 2009. He has served editorial board members and associate editors for the international journals including Genetic Epidemiology, Computational Statistics and Data Analysis, Biometrical Journal, and International journal of Data Mining and Bioinformatics. His research areas include microarray data analysis, GWAS, gene-gene interaction analysis, and statistical genetics. Dr. Hans-Uwe Dahms is a professor at Kaohsiung Medical University. He is interested in stress responses in general and within aquatic systems in particular. He, his colleagues and students integratively study pollution and the toxicology of stressors from physical, chemical, and biological sources. He is equally interested in climate change, the spread of diseases, antibiotic-resistance, food and drink safety from water sources, and integra-tive approaches in environmental and public health monitoring, risk assessment and management. He advised more than 25 Ph.D. students in their research and published more than 275 papers in scientific journals. He served as a reviewer for more than 70 SCI journals, as editorial board member of 12 reputed scientific journals, academic editor of PLosONE, and as editor in chief of FRONTIERS in Marine Pollution. 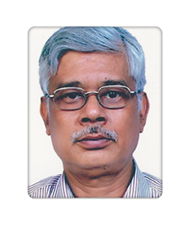 Chanchal Kumar Mitra (born November 02, 1950; W Bengal, India) is currently (2015-2017) an UGC (University Grants Commission, Government of India) Emeritus Professor at the Department of Biochemistry, University of Hyderabad. He obtained his B.Sc. (Bachelor of Science) degree from the Presidency College (University of Calcutta) with Chemistry as the main subject (1969) and his M.Sc. (Master of Science) degree from the same university in 1971 in Pure Chemistry. He did his doctoral work at the Tata Institute of Fundamental Research, Bombay (now Mumbai) on computational studies on the conformations of several aza-nucleosides and received his Ph.D. degree from the University of Bombay in 1977. He did post doctoral work at the University at Albany (New York, USA) and University of Lund (Sweden). He joined the University of Hyderabad in 1985 and retired in 2015. His current research interests are (I) biosensors and (II) modeling of metabolic pathways. He has a number of publications in the relevant areas which can be found from https://www.researchgate.net/profile/Chanchal_Mitra/contributions.